Growing a garden takes hard work, persistence, and a willingness to learn. Arden Bucklin-Sporer, executive director of the San Francisco Green Schoolyard Alliance, explores the educational value of school gardens. What does a successful school garden program look like? Arden Bucklin-Sporer: A successful school garden has many pillars of support. It’s supported by the principal and connected to the classroom and lunchroom. Students, parents, and teachers flow in and out. All of this activity is managed by a garden coordinator, who acts like an air traffic controller. Parents host weekend work parties to build the more complex garden structures. End-of-the-year celebrations might take place there. The sustainability initiatives of the school, such as composting or water use, are modeled in the garden. It’s really a hub for community building. 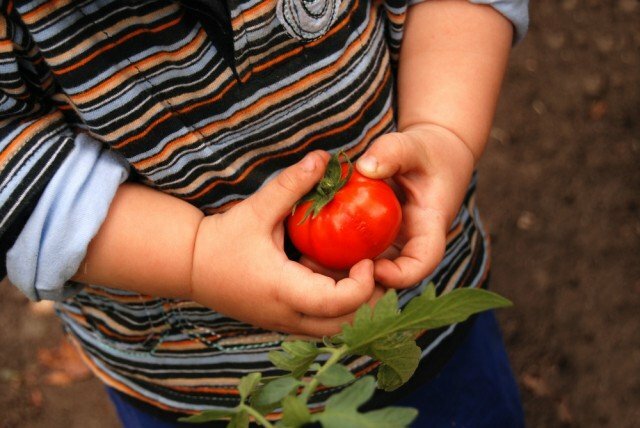 How do school gardens help expand students’ understanding of the story of their food? Arden Bucklin-Sporer: Astonishingly, we no longer really understand where our food comes from. Most of our food is a plant’s bud, flower, or root. It’s something we’ve forgotten about for a couple of generations. Illustrating these concepts in a garden is revelatory for people. You see the “a-ha!” moments, when they really understand what part of the plant their food comes from and the purpose of that biology. A school garden serves as a living laboratory to demonstrate the principles of sustainability. How does a school garden build healthy eating habits? Arden Bucklin-Sporer: In most schools, there is still an incredible amount of institutional food. It’s important to get kids thinking about what they’re eating and how their meals are made, especially processed foods, which are so distant from the natural world. A green schoolyard curriculum provides an opportunity for kids to learn about these issues so they can make their own choices, both as conscious eaters and active citizens. It helps them to understand that eating is a political act. For elementary school children, who are not yet in charge of their food choices, a school garden is a great place to construct a foundation for healthy eating. It’s a way to teach about the pleasures of growing food and having a connection to soil, air, and water. We always get parents wondering what has happened to their children. “Why are they insisting on baby organic greens for dinner?” Positive experiences in the outdoor classroom lead to new habits at home. What are some transformations you’ve witnessed from working with students in the garden? Arden Bucklin-Sporer: The biggest transformation may be on the school itself. Schools suddenly have a sense of community when their green schoolyard becomes part of the landscape. Suddenly, it’s a place where people want to go. A school garden is a great place for parents to gather, to come together and imagine wonderful things for their children’s future. Everybody wants to experience a connection to plants and life and beauty. School gardens are deeply hopeful places. Arden Bucklin-Sporer: It means everything to me. Back in the day, it wasn’t something that attracted wide attention. Now, the amount of interest in food is absolutely overwhelming. It’s a profound and wonderful transformation that our whole society is going through. It’s such a basic, fundamental thing that really changes your perspective. If you care about food, you tend to care about everything. 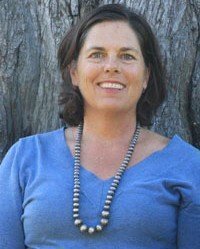 Arden Bucklin-Sporer is executive director of the San Francisco Green Schoolyard Alliance, an advocacy organization for school gardens and outdoor classrooms. She is the director of educational gardens for the San Francisco Unified School District and a founding partner of Bay Tree Design, a landscape architecture firm. 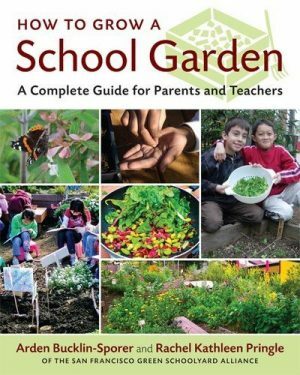 Arden co-authored the book, How to Grow a School Garden. Her interest in urban agriculture is fueled by her family’s organic farm and vineyard located in Sonoma County, California.